Should the missus and I adopt these guys? (Jon?) 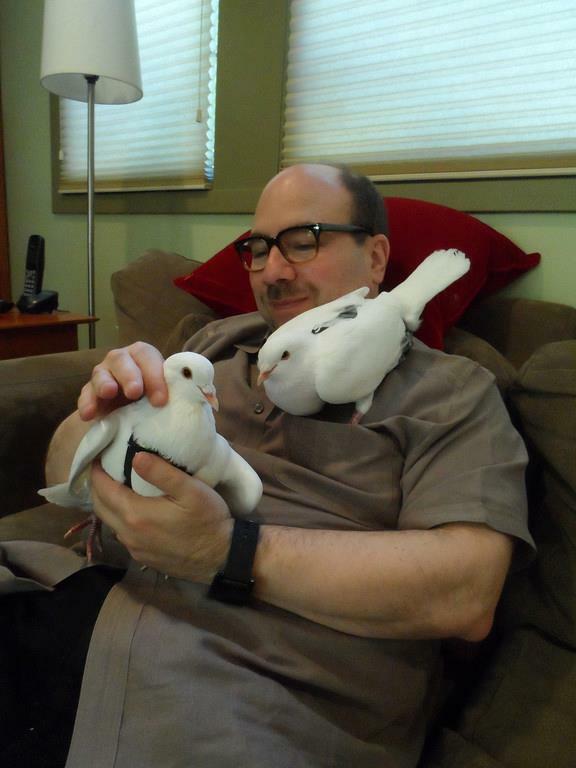 Snow and Margaret from MickaCooRescue/PigeonRescue.org (both are “bachelors”). 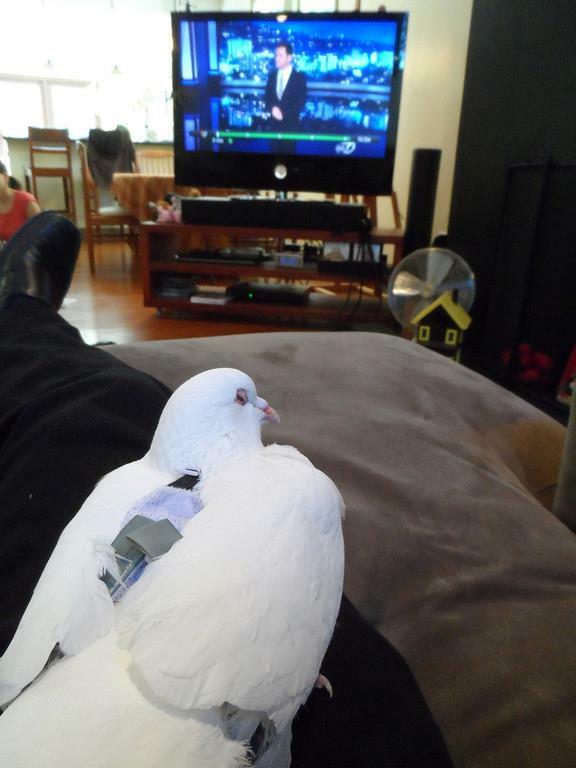 Snow the Pigeon and I watch Jimmy Kimmel. More exciting Pigeon Drama to come! They look like they are real relaxing. Hope they have personalities like my chickens do. Yes — you should! They’re adorable.